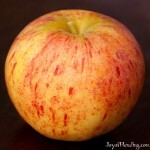 I use a lot of apples in smoothies, particularly this time of year when they are so abundant. We have a small apple tree that has yielded a surprising number of apples this year.1 Apples can lend a nice bit of mild sweetness, as well as adding a little body. I generally like to combine them with a stronger flavor, which lately has been berries or ginger. 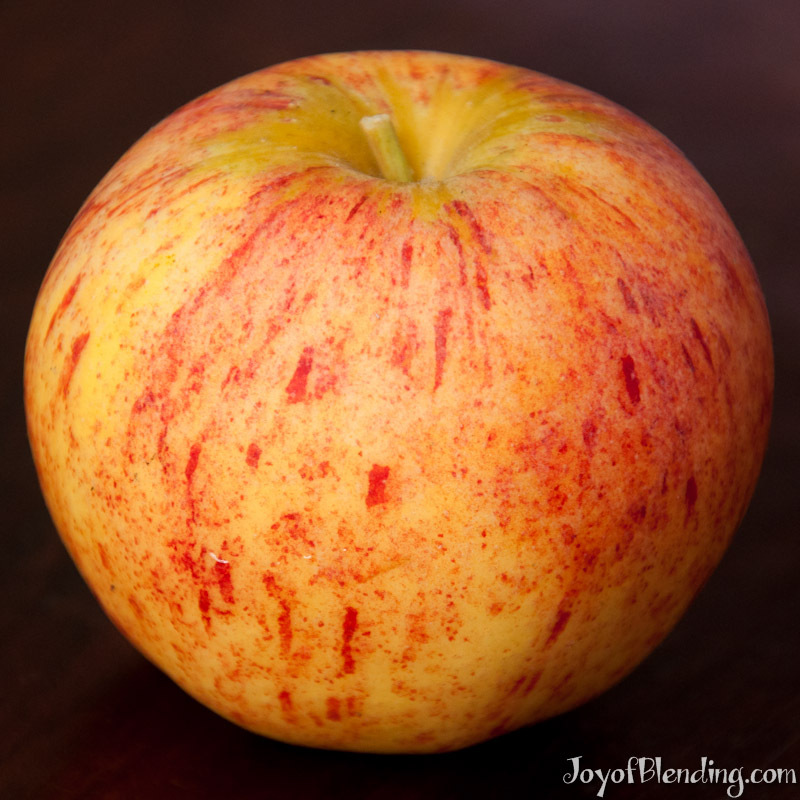 Look for firm, unbruised fruit, and don’t be afraid to try new varieties. When I first had my Vitamix I always bought Red Delicious because that was what was suggested in the Vitamix recipe book, but these days I’ve been favoring Braeburn and Gala. However, it usually gets blended with so many other flavors that the variety doesn’t make too much difference. To prepare I wash them, and then cut them into quarters to remove the seeds and a little bit of the surrounding core. 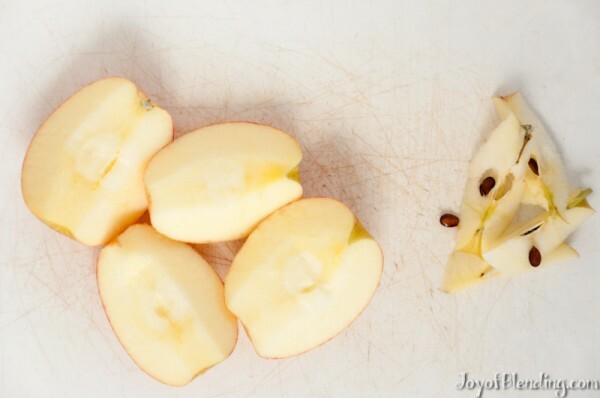 Apples are one of the harder ingredients, so in order to minimize need for the tamper I add them after any softer ingredients if possible. I have not done any systematic testing of this idea, but I suspect that smoothies made with apples should be consumed right away, because of oxidation. I have noticed that smoothies kept in the fridge for half an hour to an hour develop a bit of an off-taste, and I think apples may be one of the major contributors. When you cut an apple and leave it out it turns brown from oxidation, and in the Vitamix the apple is cut into tiny tiny pieces and well-mixed with bubbles of air. This is another reason to add plenty of ice when blending: a cooler temperature will slow down oxidation. Because of a few bad experiences I haven’t done ongoing testing to see what sorts of smoothies last in the fridge. 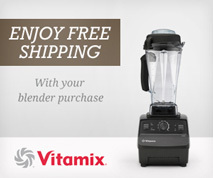 I was surprised to read that some people store smoothies for up to a day or two. If anyone actually stores them without significant quality loss, I would be curious to hear what ingredients you are using. I often store smoothies over night if I happen to make a bit more than we consume in the morning, but I always put them in the freezer within a few minutes of blending. I then transfer to the fridge at bed time to allow it to thaw slowly over night. The result is not quite as nice as a fresh smoothie, but it comes pretty close, and it has the advantage of being immediately available for my impatient 3-year-old. Unfortunately, for your purposes, I don’t generally add apples to our smoothies. The most common fruits are berries, mango, pineapple, and peach. Vegetables range from any of the milder greens to butternut squash and beets. I made a smoothie with apple, steamed carrots and grapefruit. It was an amazingly good combination. I could not finish it all and stored it in fridge, in a cup covered with plastic wrap for almost 24 hours. When I took it out to drink (I use drink lightly as the texture was a loose applesauce consistency) the next day, the neon orange color hid any oxidation and there was no diminishment of flavor.